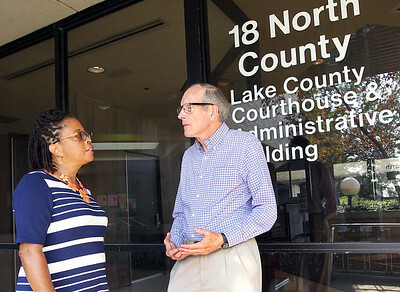 Candace H. Johnson - for Shaw Media Dr. Mary Roberson, (left), social service supervisor and Bob Gorman, mentor, discuss a veteran’s status through the Veterans Treatment Assistance Court (VTAC) outside of the Lake County Courthouse in Waukegan. 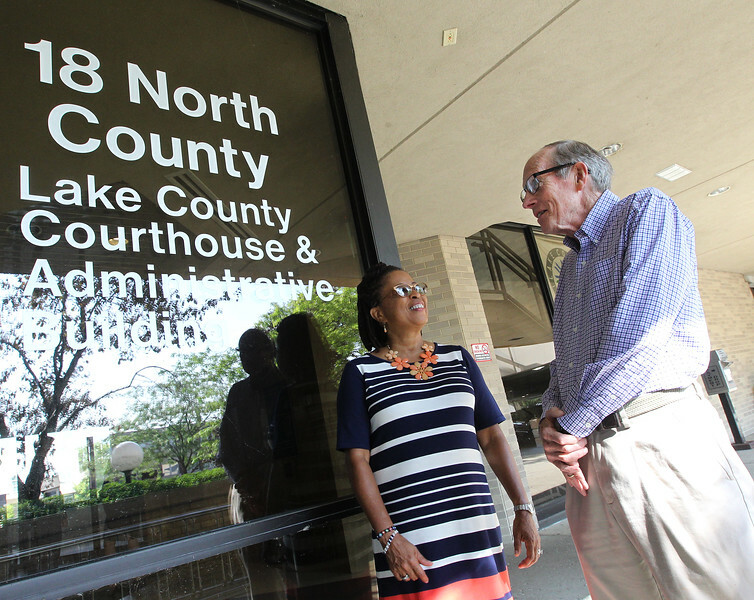 Both Roberson and Gorman are veterans who are staff members at the Lake County Veterans and Family Services Foundation based in Grayslake. Candace H. Johnson-For Shaw Media Dr. Mary Roberson, social service supervisor, and Bob Gorman, mentor, discuss a veteran’s status through the Veterans Treatment Assistance Court (VTAC) outside of the Lake County Courthouse in Waukegan. Both Roberson and Gorman are veterans who are staff members at the Lake County Veterans and Family Services Foundation based in Grayslake. 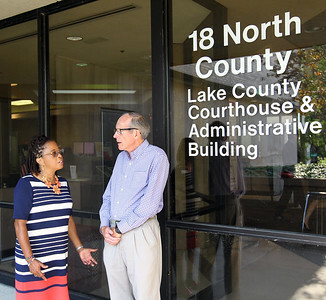 Dr. Mary Roberson, social service supervisor, and Bob Gorman, mentor, discuss a veteran’s status through the Veterans Treatment Assistance Court (VTAC) outside of the Lake County Courthouse in Waukegan. Both Roberson and Gorman are veterans who are staff members at the Lake County Veterans and Family Services Foundation based in Grayslake.